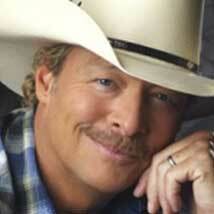 Head to the Chesapeake Energy Arena to see veteran country star Alan Jackson perform live. For longtime fans, this concert will be a memorable celebration of Jackson’s songs and the memories they bring up. Classics like “Here in the Real World,” “Chattahoochee,” “Gone Country” and party anthem “It’s Five O’Clock Somewhere” have become some of the most well-known country songs around. Bring some friends and sing along to your Alan Jackson favorite at this special show. The Chesapeake Energy Arena, a 20,000 seat venue, is located within easy walking distance of the Bricktown Entertainment District.